Today’s businesses are embracing anywhere, anytime connectivity. But what often gets ignored is the need for secure network access control. Some are using a “laid back NAC” solution while others choose the same vendor for both security and network infrastructure. The danger of these approaches is that they give the illusion of security and compliance, but in reality leave extensive security gaps. What is your business doing to protect your network? •How do I simplify mobile security? •Can I limit mobile devices without limiting productivity? •How do I unify internal and external security tools? 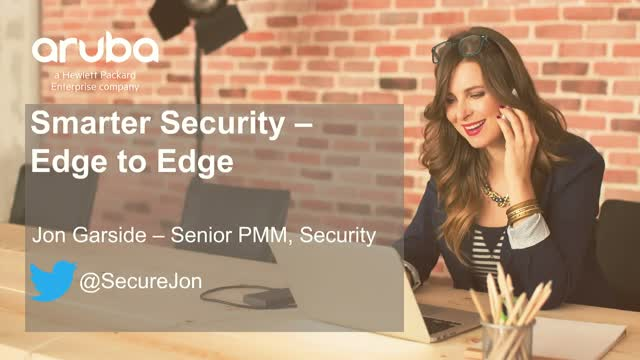 View this webinar to learn how you can improve the end-to-end security across your enterprise. Title: What's on Your Network?